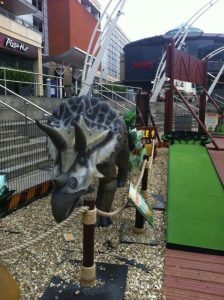 Thank you very much to today’s “NHM Secret Reviewer” who has done a great job below! 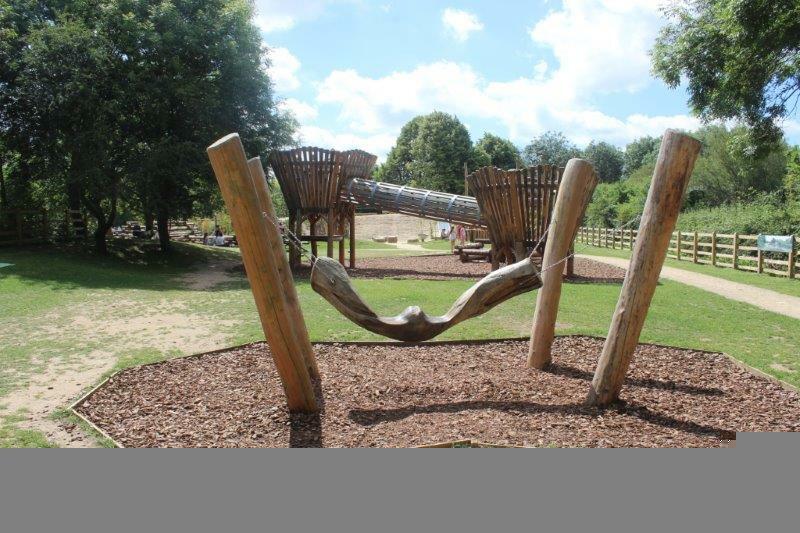 Bucklebury Farm Park is a lovely farm and play park in the village of Bucklebury. 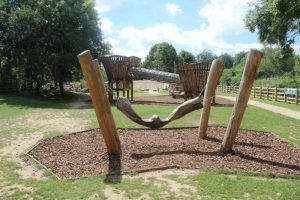 It has a Deer Park, Farm Animals, Indoor Play, Pedal Go Kart track, Tractor rides, Woody’s Cafe & Tea Room, Outdoor refreshments, Adventure Playground, The Wild Walk, Be A Farmer Club, Den Building. 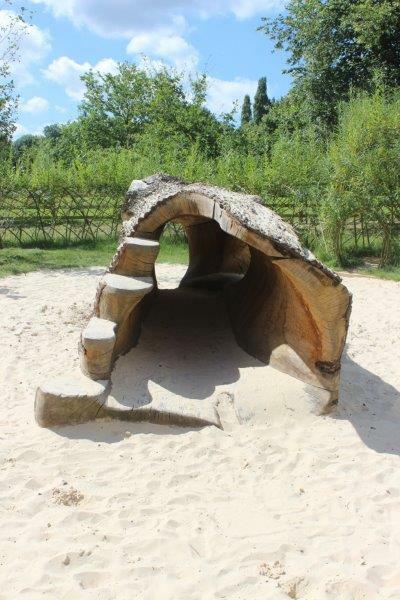 There is a lovely wood chipped outdoor children’s play area at the bottom of the main field. It has a large wooden fort, lots of wooden structures such as a fire engine & train for children to climb & play in, some old tractors plus the usual swings etc. 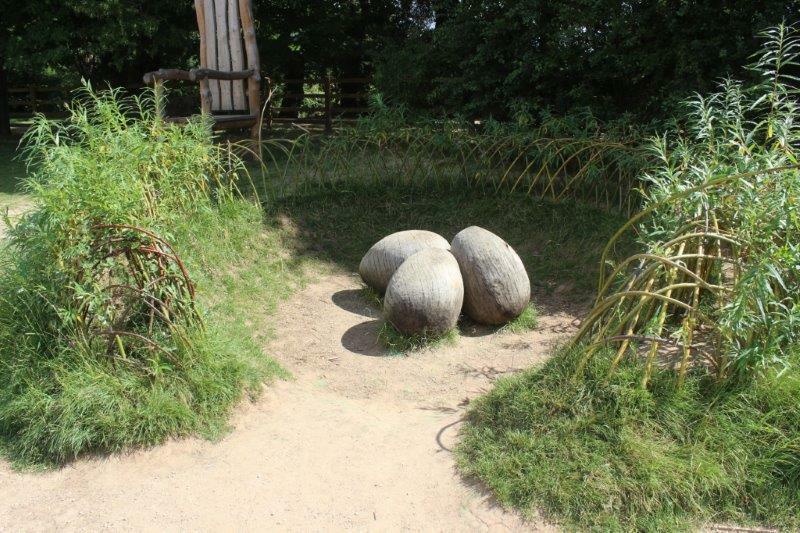 There is also a smaller play area for younger babies & toddlers. 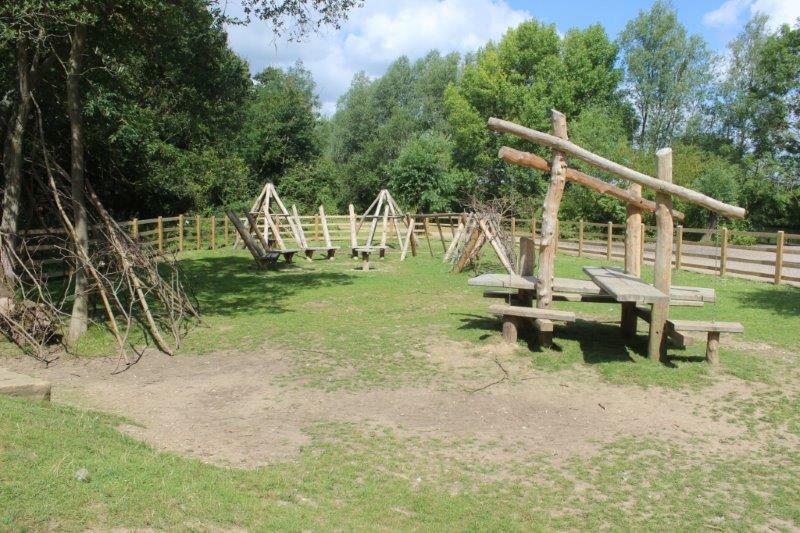 In the main field there is a zip wire suitable for older children, some wooden agility structures and a playhouse. 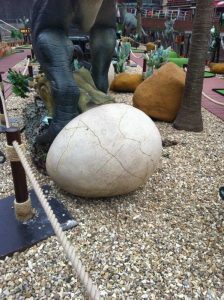 There is a large bouncing pillow (although it wasn’t open when we went) along with a go kart track & a trike track. The Go Karts are only really suitable for older children (& adults) unless you prop your child in front of you & have a go. The trike track is good fun for younger children and my 4 year old was very happy pedalling his younger sister (2.5yrs old) around on the back of the trike. Just inside the main entrance there is a large indoor play area with wavy slides & drop slides. 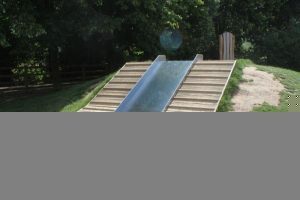 When the rain came our little ones had great fun for a further hour or so, going up & down the slides repeatedly. The wave slides had woven mats that you had to sit on to go down the slide which they both loved. 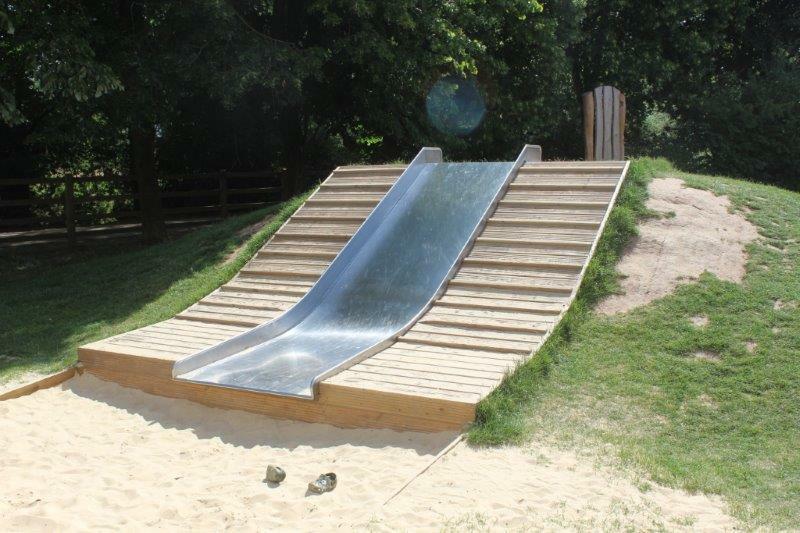 Our eldest did have a look at the drop slide but decided not to go down when he got to the top…personally I don’t blame him as I wouldn’t go down it myself even now (yes I am a big scaredy cat) however there were other children of a similar age who did (& some parents too!). 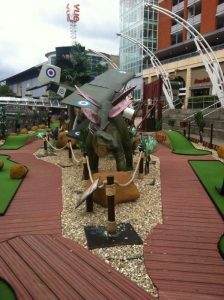 There is also a double decker bus in the main field which is kitted out as a soft play area. Again my little ones both loved this and were the perfect age for it. Every time we went to another part of the park they kept asking to go back on the bus and would run to it whenever we went past. I can imagine it gets very busy but there weren’t many people in the park the day we went as the weather had been particularly bad. There is a small animal petting area called Bob’s Barn which holds animal petting sessions at various times throughout the day (you can find out when these are on the board in reception). The children got to hold Guinea Pigs, Rabbits, a Chicken & a Tortoise. The staff were very friendly and helpful with young children and they really enjoyed holding the Guinea Pigs. The tractor ride was really enjoyable and lasted about half an hour. You got onto the tractor trailer just past the adventure playground and were then taken on a trip up and around the Deer Park stopping midway to feed the Deer. The driver was very knowledgeable about the different types of deer and came round everyone to see if they had any questions. Each side of the tractor was given a large bucket of food to feed to the Deer which both my little ones loved doing. Best of all the tractor ride is included in your admission price! 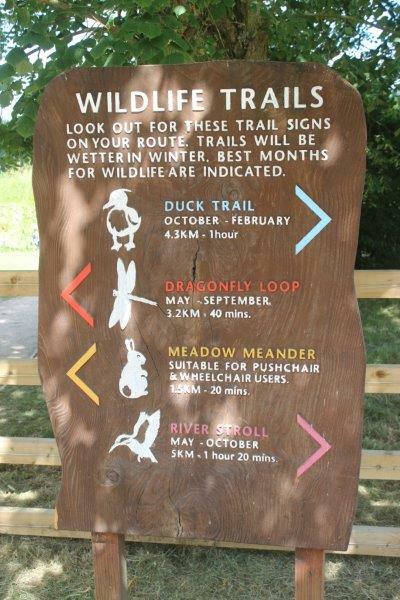 There is a nature trail and the Wild Walk both of which take you through wooded areas with the chance of seeing Deer. 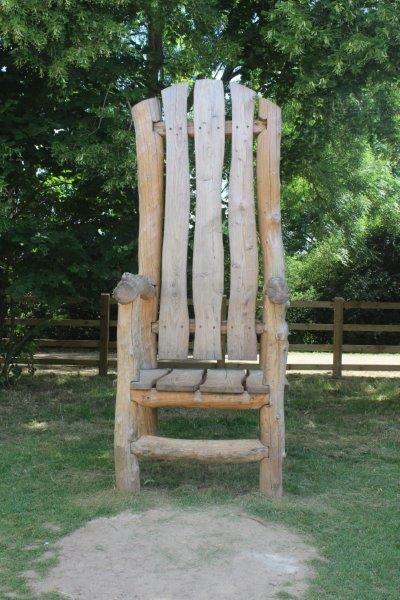 The Wild Walk has a picnic area and a tower you can climb that looks onto the Deer park. 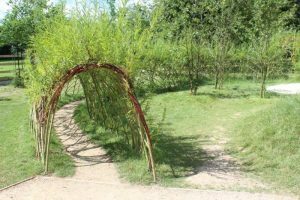 We didn’t do these walks as our children were worn out from running around the play area and walking around the park and we hadn’t taken the pushchair in for our youngest so she’d already walked quite a long way over the course of the day. Woody’s Café & Tea rooms is open 8.30am -5pm. We didn’t visit the café as we were at a party so had food & drinks provided but I poked my head in and the café looked lovely & charming. 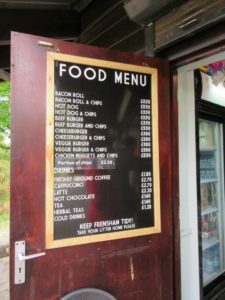 I have heard from many people that the food is exceptionally good and that they make the trip to the café even when not visiting the park (it is open to both visitors & non-visitors). All the food is homemade and freshly prepared from locally sourced ingredients. There is also the Little Green Food Wagon just outside the indoor play area which sold snacks such as bacon rolls at reasonable prices. Of course the cheapest option is to take your own picnic and there was an abundance of outside space to enjoy a picnic if the weather is kind. 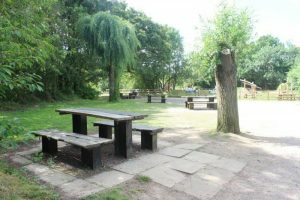 There were also plenty of picnic tables around the park. 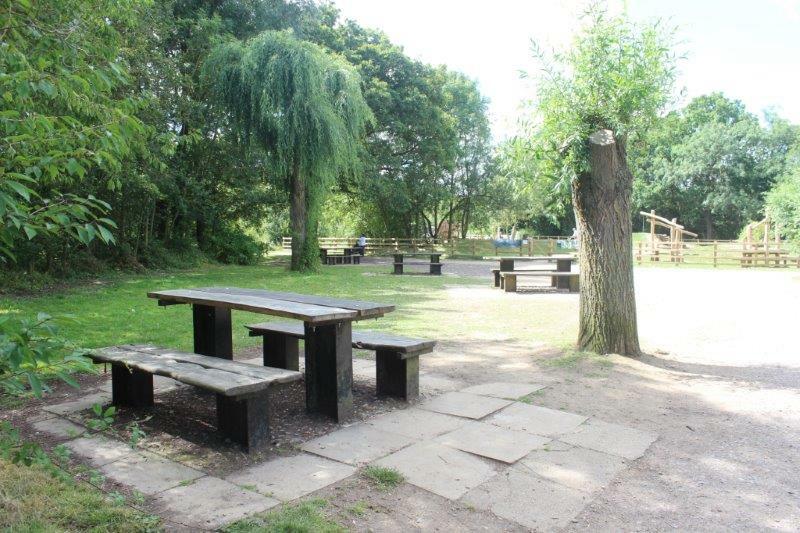 There is a sheltered picnic area which can be used if it hasn’t been booked for a party. Filled children’s lunchboxes are available from the kiosk for £4.50 and you can also book a hamper in advance. The toilet building is rustic but clean & adequate. I didn’t see any separate baby changing facilities however there was a large worktop surface in the ladies perfect for changing babies, just make sure you have your own changing mat with you. I didn’t spot the disabled toilet so unsure if these had proper baby changing facilities in. 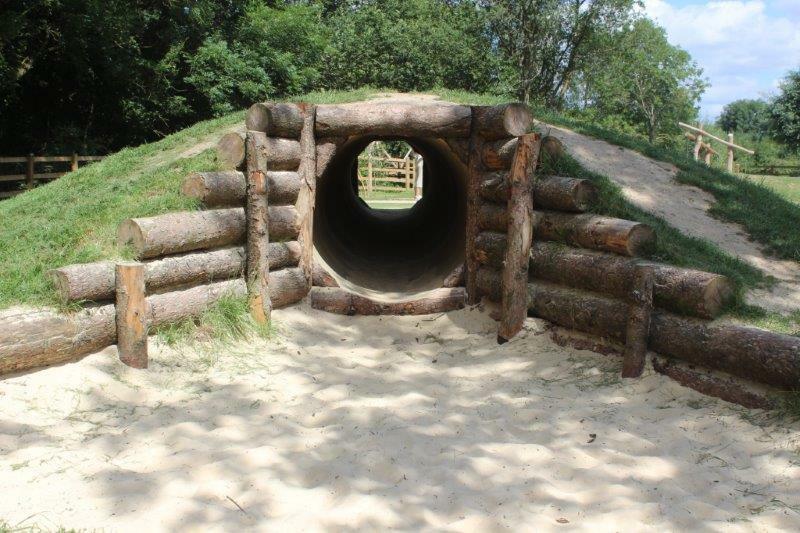 The farm park and Woody’s Cafe are open daily for the 2015 season from Sunday 1st February until Wednesday 23rd December…Opening hours from early spring to late autumn are 9.30am until 6:00pm (last admission 5:00pm) and during November and December (until 23rd) between 9.30am-5pm. Woody’s Cafe is open daily from 1st February to 23rd December from 8.30am-5pm (last orders 4.30pm). 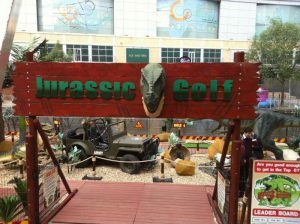 Admission is pretty expensive in my opinion, as seems to be the case for all of these kind of attractions, however if you are going as a family of four then the family ticket is more reasonable. This is a really lovely place to visit for a day out. There were plenty of activities to keep our little ones entertained despite the weather not being the best & we would definitely visit again. 4.5 out of 5 – Only due to the price & the fact I felt it could do with some additional toilet facilities. Yay! It’s the first secret review of the year on NorthHantsMum. 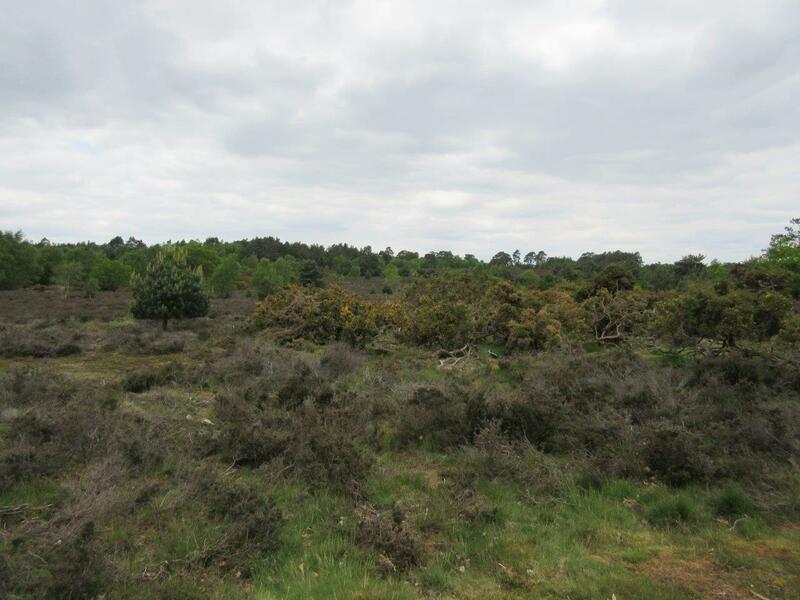 Thank you very much to one of our secret reviewers who has done a fantastic job reviewing Frensham Common below! We visited Frensham Common near Farnham last Sunday with myself, the husband and the monkey. A really great childhood memory for me was a family day out here in the sand so I was excited to take my Son. 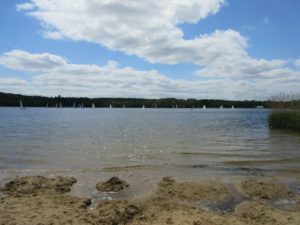 There is Frensham Great pond and Frensham Little pond and this review is on the Great Pond. 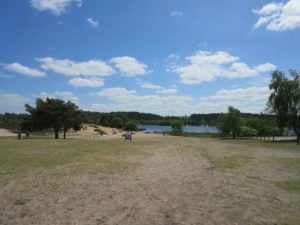 The reason for choosing to visit Frensham is that the Monkey wanted to go the beach but quite frankly we didn’t have time for an hour in the car each way as I needed to be at home doing boring stuff to “reset” the house before starting off our working week again. Frensham was the best compromise with the beach area on the shore of the lake plus I owed NHM a review on this :-). It’s only about 30 minutes’ drive from Basingstoke. You drive through the main Farnham high street area and out the back. When we drove into the car park there were plenty of spaces in a wooded area. If you park at the front of the car park you have a good view of the lake. If you are visiting here you need to pack for a beach visit with swim suits for the kids, towels, spare clothes, toys, picnic, wind breaker etc. We’d brought along a bucket and spade so our Monkey could dig happily in the sand and if he is happy we are happy. On the shore of the lake it’s ideal for sand castle building as the sand was quite damp so moulded nicely plus we could build a good moat. We stayed on the larger beach area for most of our visit, on the smaller beach area on the same stretch we noticed a white froth on the lake shore when we went on our walk and nobody was using this area at all. What we liked here was the family feel. There were lots of families sitting on picnic rugs having their lunch with the kids running backwards and forwards to the water. 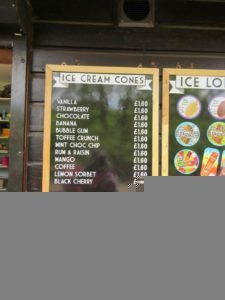 If you haven’t brought your picnic along there was a kiosk that sold everything you would need including bucket, spades and balls. 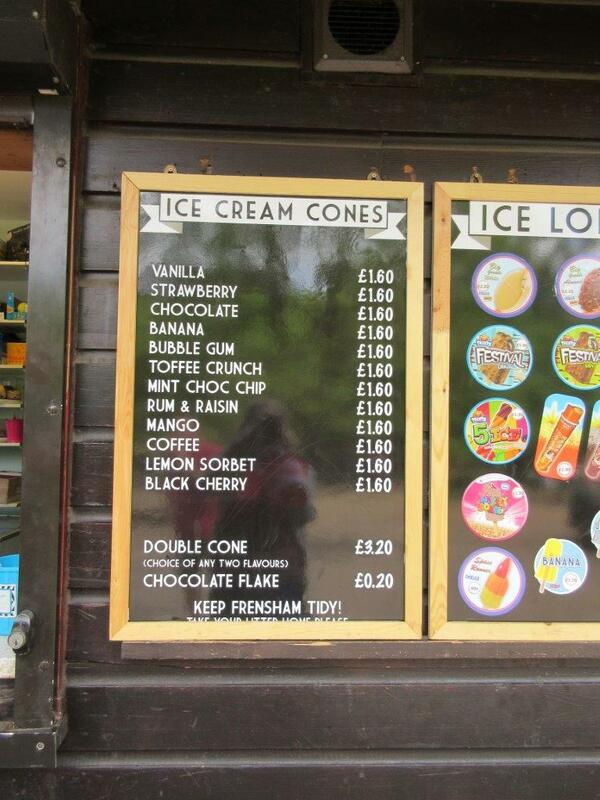 There were no whippy ice creams but there were soft scoop ice creams at £1.60 each and lollies. Lattes available as well as plenty of hot food choices all cooked to order plus picnic tables to sit at. We only tried out a portion of chips which were good chunky ones. We did go on a walk eventually when we could prise our monkey away from the beach. 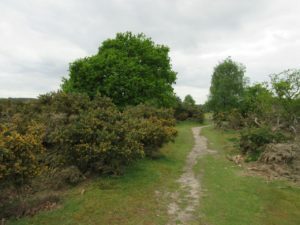 There are 7 miles of footpaths for walkers in the area. Unfortunately we only had time for a short walk but the countryside was really pretty and we’d like to try it again. When we were outside the toilets they didn’t smell very nice but when inside they smelt ok. There was 1 flap down baby changer unit in the wash basin areas of both the Ladies and the Gents. 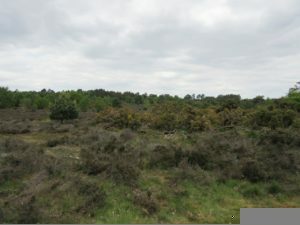 Only certain areas are suitable for buggies and your buggy would need to have good suspension to do some of the walks on offer. There was no play area with swings, slides etc. 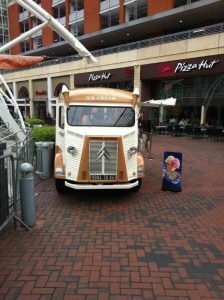 We think they could easily fit this in as it looks like they have the space to do this. There is a car park charge at weekends and bank holidays of £4 per car. This only applies between Easter and the end of September. 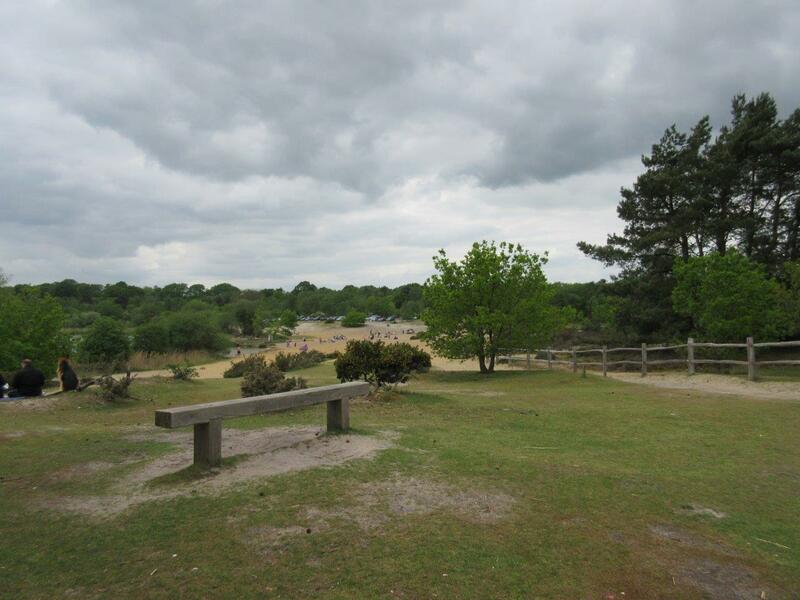 National Trust members and blue badge holders are free to park at all times. In peak Summer months expect the car park to be full by noon. You can’t park on the country lane outside due to access for emergency vehicles. The post code for your sat nav is GU10 2QB. The post code sends you to a lane and not necessarily the car park so they advise you to look at a map before you set off. All in all it worked out as a cheap day out for us. We have visited in off peak and it wasn’t busy at all but I’ve heard this place is heaving in the Summer months so visit soon if you want to give it a try. Thank you very much to this week’s Secret Reviewer, Jo, for her fab review of Dinton Pastures! Dinton Pastures Country Park covers just over 335 acres and has 7 lakes, 2 rivers, 3 public bird hides and meadows. 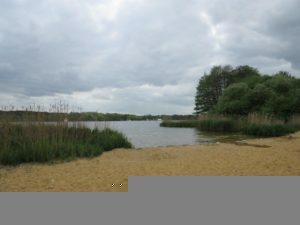 It offers scenic walks, wildlife watching, fishing, golf, orienteering, water sports and a large play area for children. 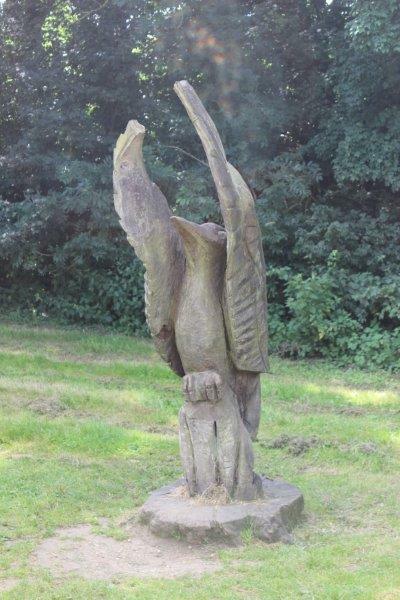 I have to be honest and say I have been visiting Dinton year in and year out since I was the same age as my children so it holds a special place in my heart as I have so many memories here! Dinton is a lovely place to go walking and given the large number of lakes and footpaths you can make these as long or as short as you like really. The wildlife trails are colour coded and signposted so you can follow these or wander to your hearts content if you prefer. There is a short route marked for wheelchair and buggy access however in my experience if you have a robust pram/pushchair you should be able to follow any paths. I have certainly had no trouble pushing my Phil & Teds Sport for miles around some lesser trodden tracks in the park although I wouldn’t attempt a longer walk with my Maclaren stroller. The lakes are beautiful to walk round and I love them equally in the brilliant sunshine of spring & summer, the autumnal colours and the winter crispness. 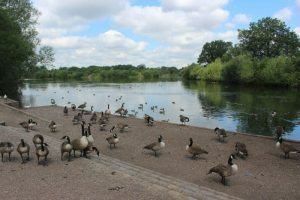 There are plenty of benches at various points around the lakes to sit down & rest or take in the scenery and there are lots of places where the Ducks, Swans & Geese gather where you can feed them. One word of warning, if you feed them at the main deck by the far end of the play park then it can become a bit like a scene from the birds. The Swans & Geese are in large numbers here and are not frightened to surround you which can be very intimidating even as an adult let alone for small children! I prefer to take our bread to a quieter point round the lake to feed the ducks there. 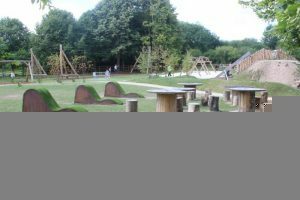 In May this year the new play area was finally opened at Dinton (after delays due to the flooding earlier in the year) and boy was it well worth the wait! 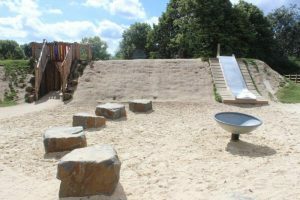 The play space that has been created is nothing short of amazing! It features giant nest towers, swinging hanging logs, zip wires, funnel net trap, willow maze, a storytelling area & woodland obstacle course. 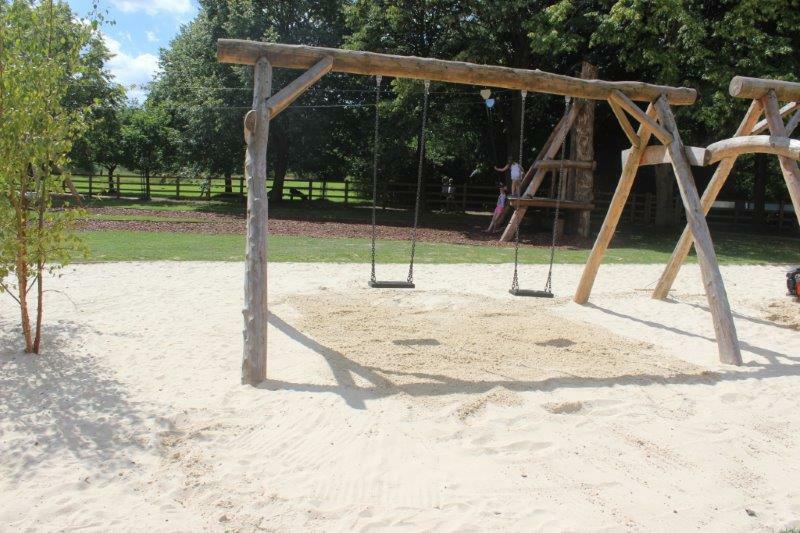 There are swings & slides and lots of sandpit areas. 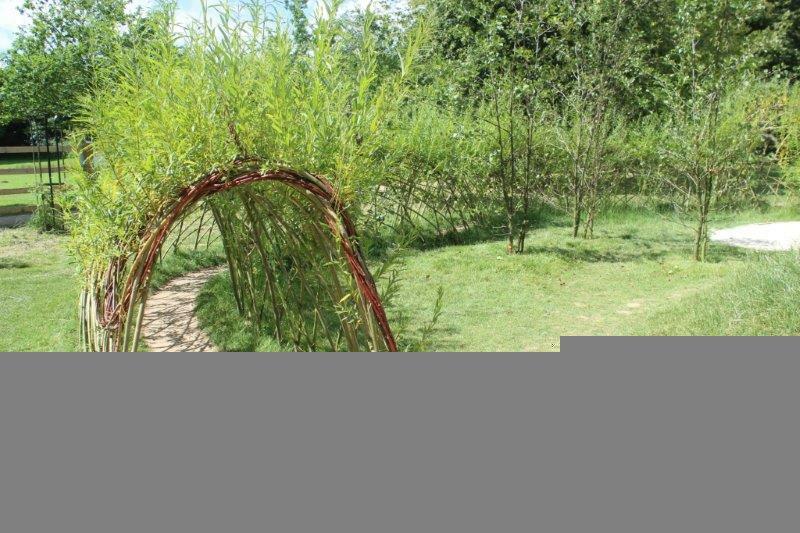 At the far end closer to the lake is a woodland picnic area & den building structures plus a ‘hobbit’ tunnel and small trampoline suitable for toddlers. There are other features such as a giants chair and dinosaur eggs to enthral your youngsters and really help their imagines run wild. The only criticism I can make of this area is that it is so large that it can be very difficult to keep track of your little ones if you have more than one and for toddlers not all the equipment is suitable so you do need to be careful to keep tabs on them. All in all though this is probably the best play area we have yet visited and there is no concrete in sight. I think it will keep my children entertained for many years to come. 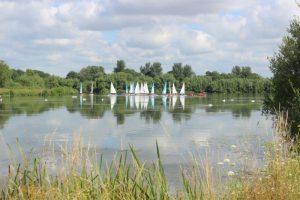 The Dinton Activity Centre part way round Black Swan Lake offers a multitude of water sports including Sailing, Kayaking, Paddleboarding & Windsurfing. For younger children they also offer pond dipping. Advance booking is generally required for these activities. If you are solely visiting for the DAC there is a separate car park which is generally a lot less busy. Orienteering is available and you can pick up a pack from the café for 50p. There is a Pay & Play 9 hole golf course (par 70 standard scratch) and clubs, trolleys & buggies are all available to hire again from the café. For any keen bird watchers there are 3 bird hides available at various points around the park – bring your own binoculars! Refreshments are available at The Dragonfly café next to the main car park. The café is lovely and has a vast amount of outdoor seating and an outside covered area plus plenty of space indoors too for when the weather isn’t so good. They are very accommodating towards children & babies. Prices are very reasonable and I can highly recommend the homemade cakes they serve. There are plenty of picnic benches both inside and outside of the play area and there is also an abundance of green spaces which are perfect for a picnic blanket if the weather is good. 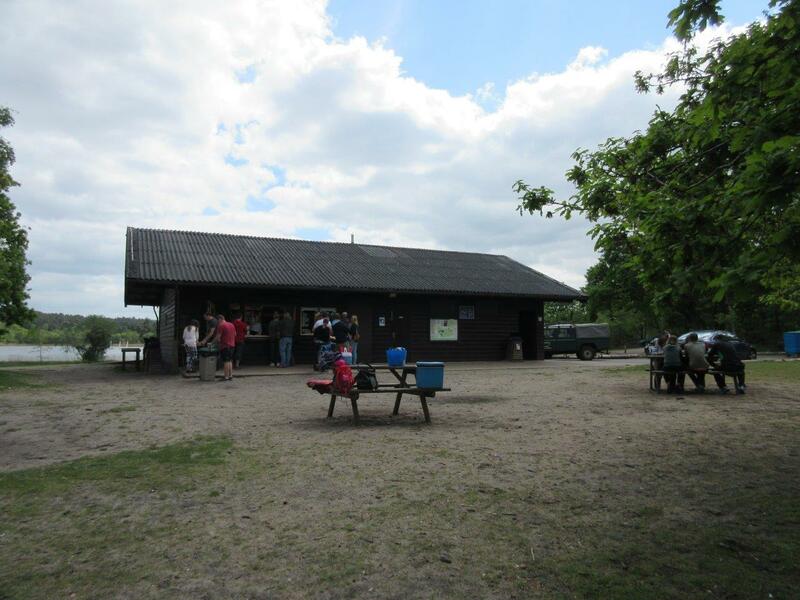 There are toilet facilities at the café, the rangers office in the main car park and at the Activity centre. The facilities at the café are the nicest as you would probably expect. You can access them without having to go through the café. Baby changing facilities are available in the disabled toilets and these are clean and adequate. There is a decent sized car park at the main entrance which also has an overflow section if it does get busy. Alternative parking is available at the Water sports centre or at the aviation museum. If you use the aviation museum car park you are at the very far end of the country park about as far as you can be from the main entrance and play area and I would allow a good 30-40 minute walk to get there, though on the plus side parking is free in this car park. 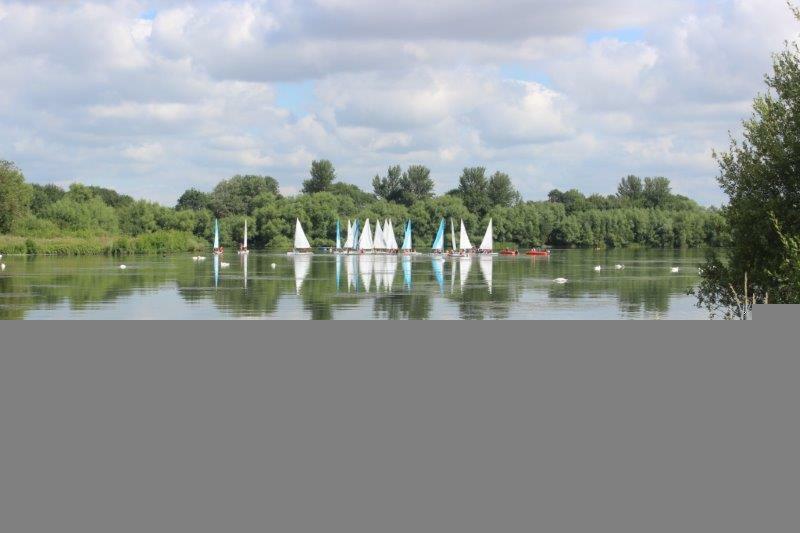 Dinton is a great place to visit with children of all ages (or even without children). Weather dependent you could spend anything from an hour to a whole day here quite happily. The new play area is worth this alone. I’ve been meaning to go to Micheldever Woods for years, so after I read Kaela’s initial draft, Mr NHM, Miss NHM and I went on Sunday morning. It was perfect. The only issue was, it took 45 minutes to find!?!?! Head for Winchester on the A30. Go past the Claas (large Farm machinery and tractors) company which is on your right and then take the second left (don’t turn into the first turning, as you can’t park here) sign posted to Northington and The Candovers. Go under the motorway and the car park is up on your left. Go now, before the bluebells disappear for the year, as they are gorgeous! Another Secret Review for you today. I was a bit reticent taking Miss NHM to Legoland, but having read this review, I’ve changed my mind! For the last year we have been enjoying some really nice days out at Legoland with our just turned 3 year Monkey, my husband and myself on our Legoland annual passes courtesy of supermarket points schemes. A gentle boat ride. The queue goes quite quickly for this ride. A mini helicopter that goes up and down and turns around. You control the speed and height with your own controls. This ride is hidden away in a corner so the queue is not that bad. 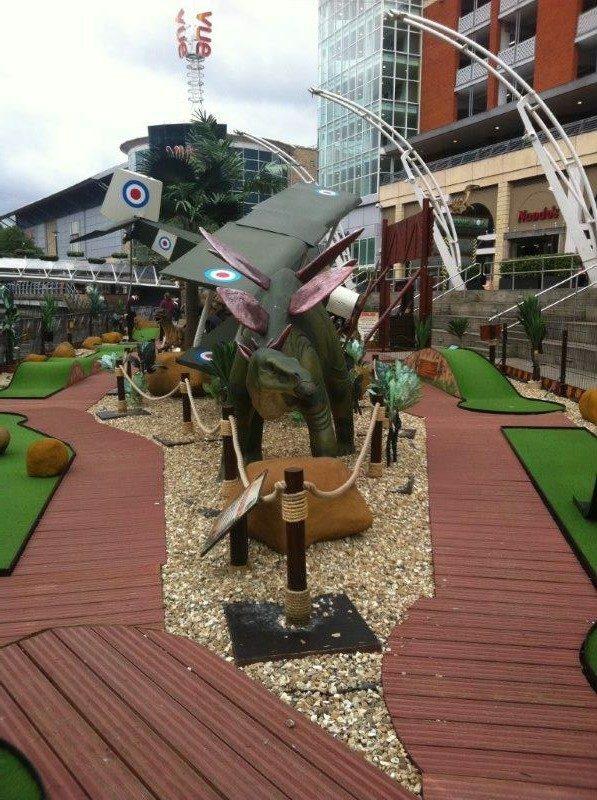 Lots of things to climb on and play on. Princess castles, bake shop, fire stations and police stations. No queue time just run in to play. Covered over auditorium with rows of low benches. You can always see from the back if the benches are full. We love this ride in a submarine through an aquarium. It’s a popular ride so try this ride as early as possible as it’s always a long queue. 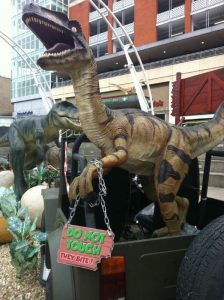 Ride along in a jeep on a track to see lots of big lego dinosaurs. The queue for this ride is usually quite quick and one of our favs. Train ride around a section of the park. A firm favourite for all the family. A ride in a battery powered boat around a water track. Try this ride as early as possible as it’s always a long queue. A new one for us last weekend. It’s a fast bendy ride. I was worried it was a step too far for monkey when we riding but at the end he sat there and clapped his hands in delight. I found the best time to visit is a week day during term time, you can pretty much walk on to any ride you choose. During Summer holiday weekends the park is heaving. What we have tried doing is going to the park late afternoon and making use of the park until closing time, this only works if you have a pass though. In the two blocks of toilets I checked out at the park the toilets by Dino Safari were the best. They have lockable cubicles which have a fold down changer, sink and toilet. The toilets by the Pirate lake only has 2 baby changing areas which are built in to the same unit as the row of sinks. So you do the change in the communal area. I would really recommend taking a picnic for your trip. 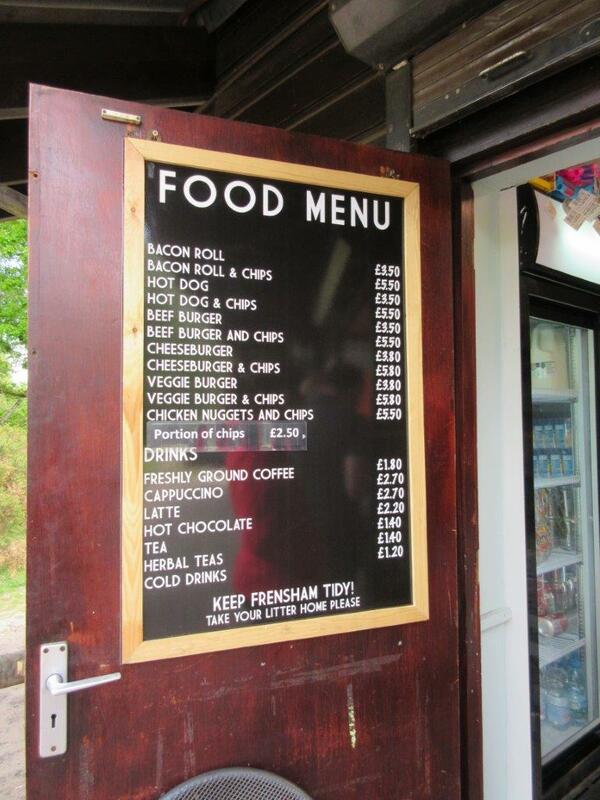 The cost of food and drink in the park is super expensive. In fact anything you buy when you are in the park is expensive even with pass holder discounts. 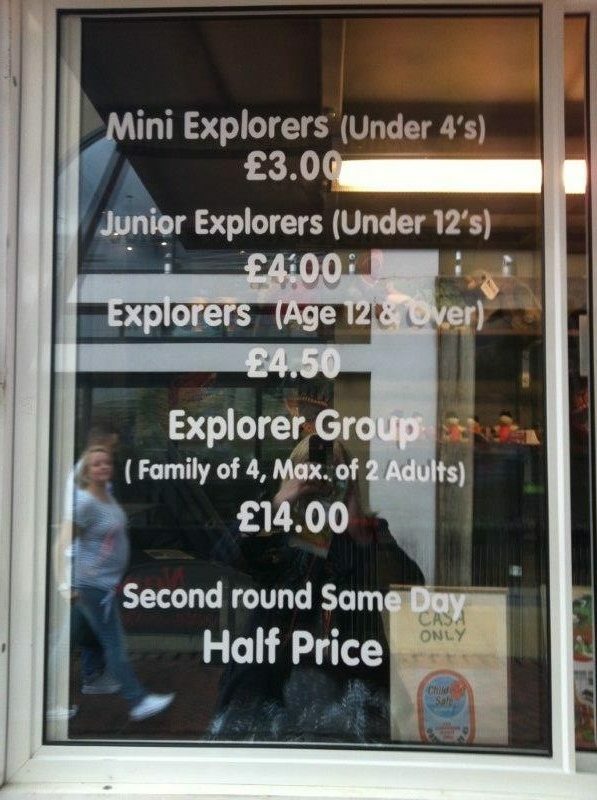 Luckily for us our monkey doesn’t ask us for much from the shops but if you have older children who do ask it could be an expensive day out for you. I did think I could pick up some cheap Duplo in the main gift shop but to be honest the prices are not that dissimilar to my beloved Amazon. Bank machines are available inside the park at the entrance. If you want to buy any pictures from your rides Legoland are offering this year a photo pass. It’s £20 for 4 pictures which you can spread over the course of multiple visits, otherwise it’s £10 for one photo. Our monkey had a phase of not wanting to sit in his push chair but wants to be carried instead. We have been hiring a plastic push cart for him outside the main gift shop which has a play steering wheel, sun shade and a drinks holder. He quite happily hops in and out of it and saves our arms and backs! There are single or double push carts to hire. 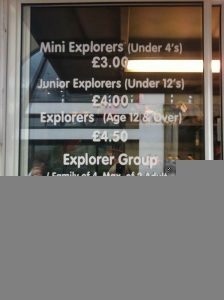 Legoland is expensive to attend for just a day visit. But if you think of it as an investment purchase it can work out cheaper. We bought an annual ticket to Legoland through Tesco Clubcard voucher deals which this year costs £28 of Clubcard points for an Adult. We were then sent a voucher which we cashed in as a photo ID pass on our first visit to Legoland. The pass also gives us free parking and 10% discount in the restaurants (not food kiosks) and gift shops. If your monkey or princess is under 3 they can get in for free. An annual pass online with Legoland direct is £99 inc 10% discount. But keep an eye out for their sales, during 2013 there were sales in January and July. There are deals in national newspapers at certain times of the year for Legoland tickets so it’s a question of waiting for the right deal for you. It takes 45 minutes to reach Legoland from Basingstoke via the M3. Post code for your sat nav is SL4 4AY. The Legoland website says please follow the brown signs when visiting as the post code does send some sat nav users to a residential street. Would you like to be a NHM Secret Reviewer? I rarely get the opportunity to talk to anyone about NHM these days. There are always several toddlers running around so it’s difficult to brainstorm or ask people what they think. I was very lucky this week to have lunch with another Mum and I mentioned that I’m finding it difficult to do more reviews on NHM, given the limited time that I have to get out and visit places. (Typically, we had this week off but haven’t managed to go anywhere planned as appointments cropped up and now Miss NHM is ill. Boo hiss). Kristy made the wonderful suggestion of having “Secret Reviewers” on NHM that could do the Reviews instead. What a brilliant idea! 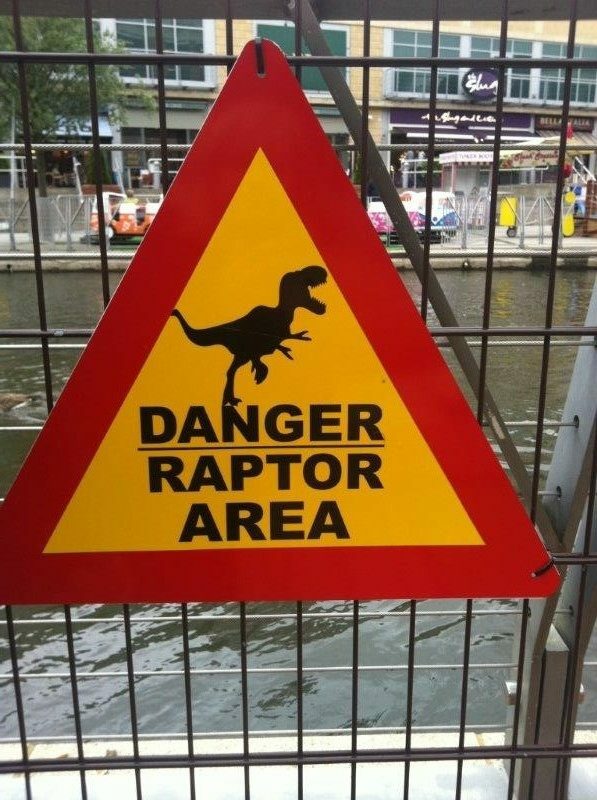 As an aside, I’m thinking about arranging a networking lunch for NHM readers. This would mainly be for Mums who run their own businesses but everyone is welcome. However, you would need to pay for your own lunch. It would be an opportunity to meet other Mums from the area and to brainstorm and bounce ideas off of each other. I’m also thinking about mentoring other Mums who might be interested in starting their own blogs, so I was thinking of seeing if anyone is interested in brainstorming this idea over lunch. If you are interested in the networking lunch, please also let me know on the email above and I will see what I can get arranged.